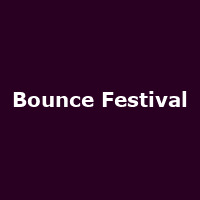 "Bounce Festival is the action packed weekend of summer holiday activities, entertainment and fun for all the family in Richmond Surrey. Created especially for kids aged up to twelve and their families, Bounce is two full days of fun, with tons of kids entertainment shows on the Big Stage and activity zones that include everything from science experiments to street dance. From taking part in exciting experiments in the Daredevil Science zone, to adding artwork to the Big Bounce Masterpiece in the Create & Craft area, to the Baa-rmy Sheep Show in the Dig It zone, Bounce has something for everyone to enjoy. You can also try the Army Assault Course in the No Limits arena or get to grips with activities for budding chefs in the What's Cooking zone...and much, much more! Bounce is designed for families with kids aged 4-12, but they also have a few activities available for the younger tots in their Little Bouncers Corner with a soft play area, sand pits, mini-climbing wall, a playhouse and other type toys."